After Sony has officially announced selling their personal computer (PC) division in 2014, the Fujitsu split indicated that Fujitsu has followed suit prior to announcing what to do with their smartphone business. The next Japanese company to sell their PC division has officially announced transferring ownership of the aforementioned division to their wholly-owned subsidiary, the Fujitsu Client Computing Limited. The Fujitsu split by transfer of ownership will be effective 1 February 2016. This is to separate the PC division from the smartphone business division of Fujitsu. The separation will be complete once Fujitsu has transferred ownership of their mobile phone division to another subsidiary, the Fujitsu Connected Technologies Limited. Fujitsu’s smartphone business decision through the Fujitsu split was born of delegating tasks and differentiating functions. While the literal translation of their statement was published as “the PC industry is dying”, explaining the division split meant buffering further losses. When consumers can spend less than $50 on mobile devices that can outpace the functions of a PC, you know that PC’s are on the brink of extinction. The smartphone business decision resulting in the Fujitsu split was compared with that of Korean technology conglomerate Samsung. Under the Fujitsu split, any losses incurred by the PC division will be borne by the subsidiary company. It was a subliminal admission on Fujitsu’s part that as a company initially profiting from PC sales, it cannot bear further losses. For the meantime, it cannot avoid losses. But it can be lessened if a subsidiary company like the Fujitsu Client Computing Limited would bear it. For now. In a nutshell, Fujitsu Client Computing Limited is taking one for the company. 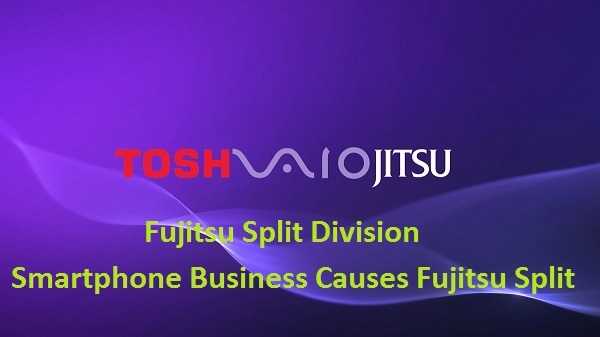 This Fujitsu split does not confirm though whether the rumored merge between the PC divisions of Fujitsu with another Japanese technology company, Toshiba, is true. Just because Fujitsu is open to merging with another company in order to save their skin from the Fujitsu split, it does not mean immediately looking at Toshiba for the next move regarding their smartphone business arm. The only other PC company that skeptics should be looking at right now would be Vaio. Vaio has announced to be remaining as a standalone company for manufacturing and selling PC’s. In terms of branding, it seems like Fujitsu does not have a problem with alienating their target market. Prior to the Fujitsu split, this Japanese powerhouse is known for manufacturing computing products. And when you say “computing products”, it is interchangeable between gadgets, business smartphones and computers. Surely, Fujitsu has diversified into other products. But the market would still view it as falling within the aforementioned categories. Will Fujitsu keep its status as one of the largest IT-services provider? Reports don’t confirm if this Fujitsu split would mean a diverted focus towards business smartphones. It has been a concern if this would mean less time to innovate or improve their products. PCs often get classified into desktop computers, laptop computers, notebook and netbook. The demand for business smartphones is the reason often mentioned for the split inasmuch as pundits would keep on mentioning how the escalating sales for similar gadgets has pushed similar technological firms to reconsider their mobile services division. For a company that has been manufacturing computers since the 1950’s, it may be one of the toughest decisions ever handled. Still, the still-lagging Japanese economy aside, the millennial generation’s fascination with everything compact enough to fit in their palm, the Fujitsu split is sure to thwart one thing from their game plan – irrelevance. With technological products on the upswing, one company that would not want to be left behind in the so-called WiFi age would be one that refused to be irrelevant for so long. Fujitsu still hangs on.